Cleanness controlled environment for assembling oxygen-rich gas equipment. Inside view of the cleanness controlled room. High degree of cleanness is severely required, so called “Oxygen Clean” by the world guidelines for manufacturing of equipment which deals with Oxygen-rich gas. 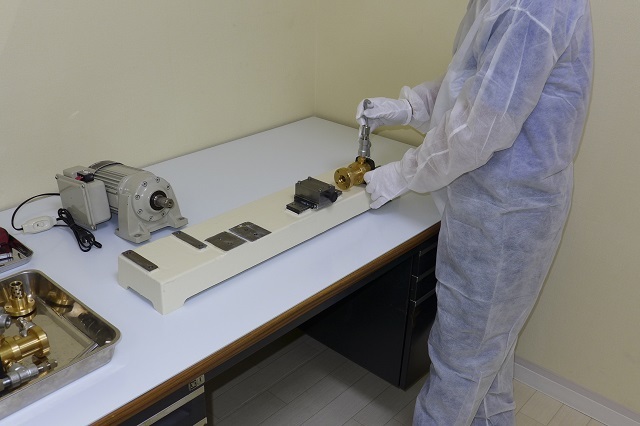 Nippon Sensuiki Co. Ltd. has established a cleanness controlled environment that conforms to the following standards and guidelines , and in this environment we manufacture all oxygen-rich gas equipment such as the high pressure booster compressor. The cleanness controlled room newly built on the floor that different from other assembling room and workshop in order to isolate from dusts and chips generated in these normal working area. 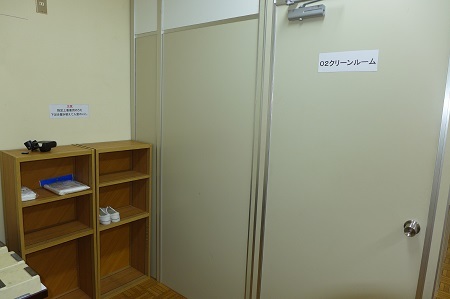 To enter the cleanness control room, the operator will wear the dust-free garment and chang the footwear to the clean room shoes to prevent any dust from been carried with the operator. The oxygen-rich equipment is assembled in well-ordered environment, and also the parts that cleaned in the dedicated cleaning booth are stored in the cleanness control room. It achieves clean level ISO8 (CLASS 100,000) equivalent. All components used for the oxygen-rich equipment is washed and cleaned in the dedicated cleaning booth that is located on the cleanness control floor out side of the Cleanness control room. Any dusts and oils adhered inside and outside of the components will be washed off here by using an ultrasonic cleaner and steam cleaner. Nippon Sensuiki Co. Ltd. Manufactures the following “Oxygen Clean” equipment. “Oxygen Clean” service is also available for cleaning and assembling of off-the-shelf products and components such as 1st stage regulator.